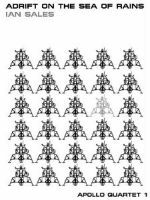 Here are a few words on Ken McLeod's magnificent first novel, The Star Fraction, the first in a series of 4 (or, at least, that's the most usual count – it's not straight-forward apparently) called The Fall Revolution. More than worth the read, and something I should have read long ago, but how many books can this be said about! Either way, this is a recommendation for those who have not been here before. Moh Kohn is a mercenary, working for the Felix Dzershinksy Worker's Defense Collective, taking on contracts to protect research establishments from Crawls (AI abolitionists) and Creeps (animal protectionists). Or, in his own words: those who considered anything smarter than a pocket calculator a threat to the human race, and those who considered anything with a central nervous system a honorary member of it. For his revelations and visions. 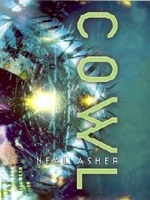 Here are my notes from reading Cowl, a stand-alone novel (save for a short story in the same universe) by Neal Asher, and can recommend it as the best Asher I've read so far. In a nutshell it's the story of Polly, a 22nd Century human, who gets tangled up in a war, raging across history, between two factions of 43rd Century post-humans civilizations, plus the Preterhuman Cowl, who sits and waits for his prey at the beginning of life on Earth. Definitely one for your reading pile. Some history first – after the Muslim Jihad, the Resource Wars and the following Nuclear Winter Civilization as we know it fell, mainly due to our unfortunate tendency 'to breed weak humans and strong plagues' – ie our medicine and abuse of antibiotics. Out of this 2nd Dark Ages the Umbrathane (literally 'those who lead out of shadow') arose, breeding humans, exterminating weak strands, the full hog of Eugenics, way beyond anything the Nazis and Stalinists every did. But the Umbrathane fell into factions, fighting amongst themselves, and from this emerged, in the 43rd Century, the Heliothane Dominion (the Heliothane were their Engineers – talk about the Geek inheriting the Earth!) taking over, and exterminating all other factions who didn't escape or accede to the empire/dominion. Together with those Umbrathane that fled into the past there went the Preterhuman Cowl, the result of genetic cross-breeding, both apex and ultimate failure of the Heliothane breeding ambition. Anyway, Fat Charlie is engaged to Rosie, who's mother cannot stand him. And he doesn't want his father to come to the wedding – he's sure he would embarrass him beyond measure. When Rosie 'convinces' him to invite him nevertheless Charlie discovers that his father has just died (on a Karaoke stage – how embarrassing!). A few words of praise for Charles Stross' first published novel, Singularity Sky, which left me positively surprised – for a first novel this is highly readable and in parts 'undownputable' (urgh, nu-English), despite some confusing time lines and lazy explanations. A Must Read. Here's my review of Making Money, the 2nd book in the Moist von Lipwig sequence (and 31st Discworld novel overall) by the inimitable Sir Terry Pratchett. Interesting, captivating, and very funny; if not as strong story-wise as its precursor, Going Postal. Recommended reading, both of them.